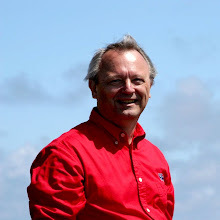 Remember back in January when I wrote an entry on SiteMeter Statistics on this blog? 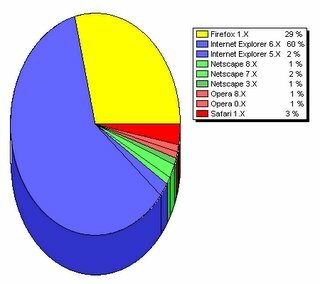 Firefox has grown about 10% from 29% to 33%. Surprise! Surprise! IE has dropped almost the same amount that Firefox has grown. 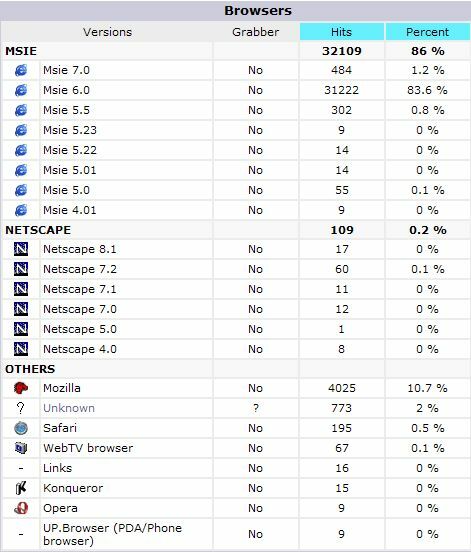 One interesting thing is that IE 7 is starting to show up. 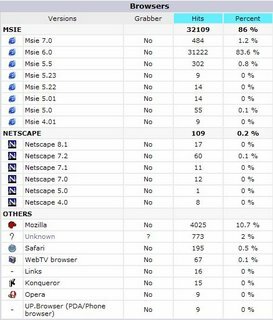 Firefox only has 10.6% while IE has 86%. 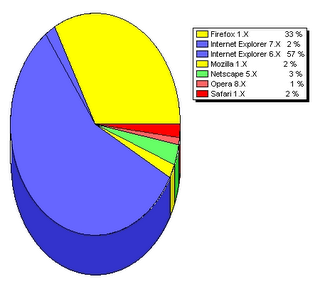 IE 7 shows up here too but with only about half the usage. Kinda interesting the difference between this blog with a techie audience and desotonet.com with a more mainstream audience.